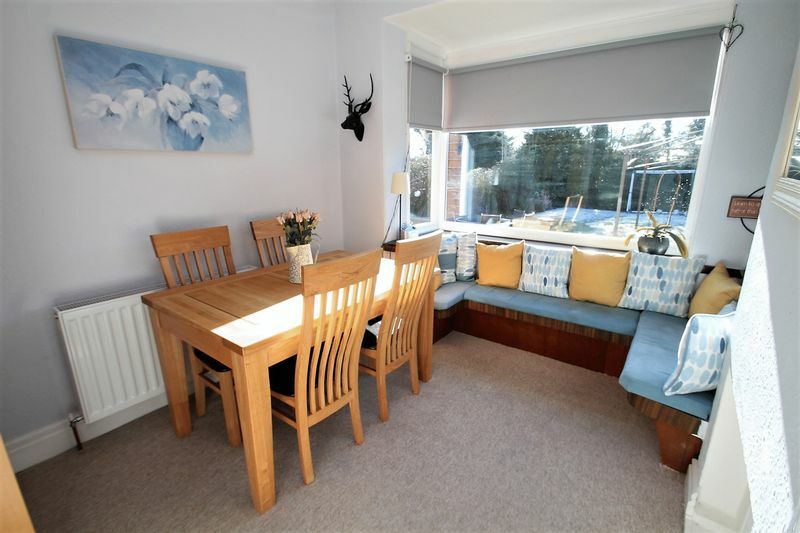 Thirlwells offer the opportunity to own this traditional three bedroom semi detached home offering well proportioned and attractively decorated family living space. 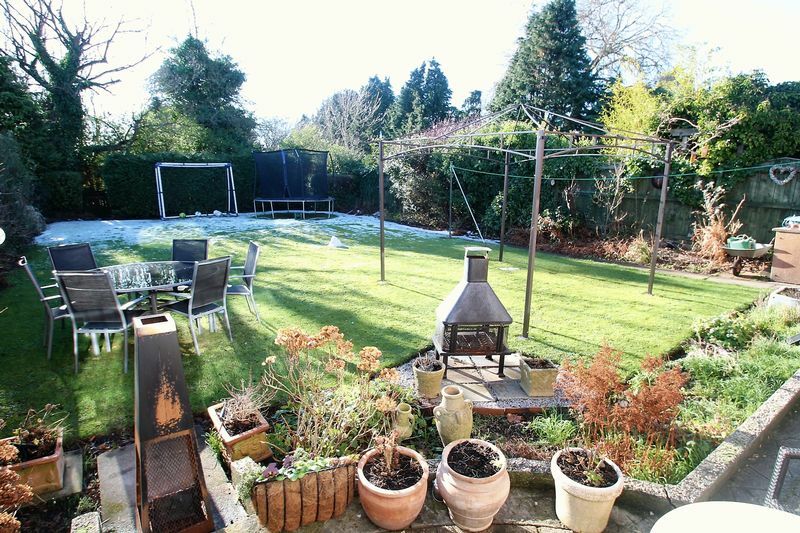 Situated in this popular residential location and benefiting from a south facing private rear garden with far reaching views. 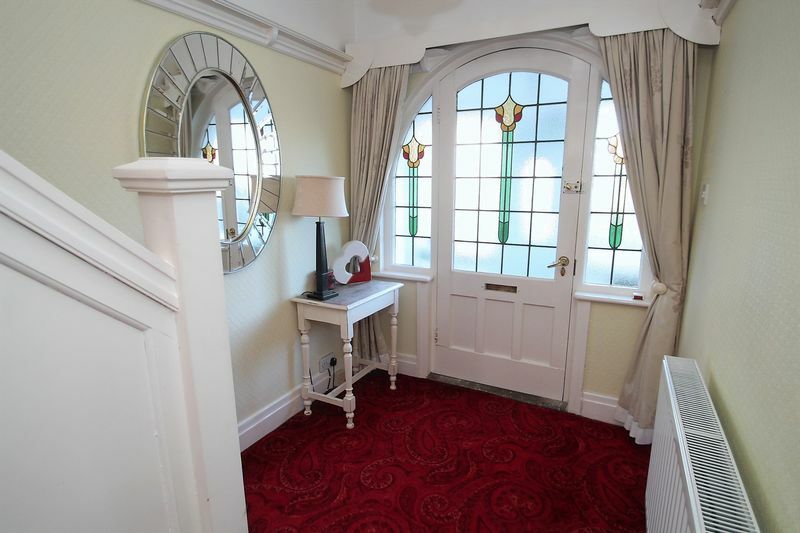 The living accommodation briefly comprises: Reception porch leading to hallway with Cloakroom/WC, Front lounge with Bay window, rear sitting/dining room, Kitchen and breakfast room. 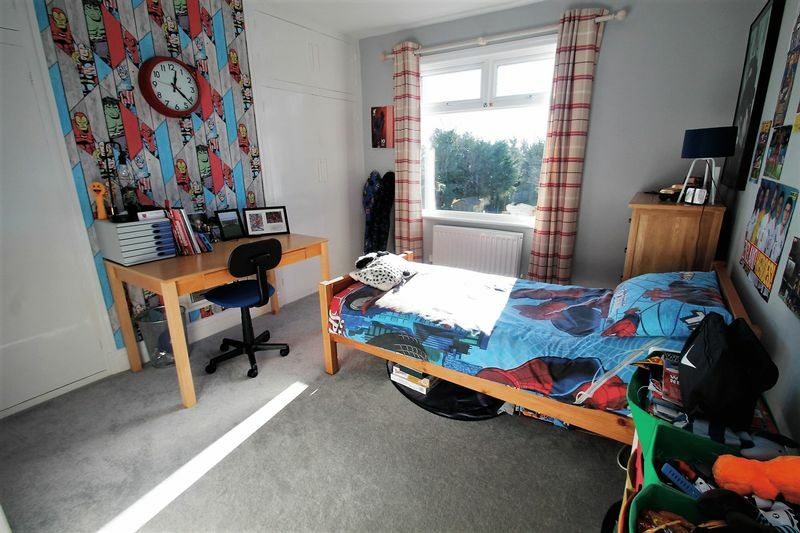 The first floor features two double bedrooms both with fitted wardrobes/storage and a third single bedroom along with the family bathroom and a separate WC. 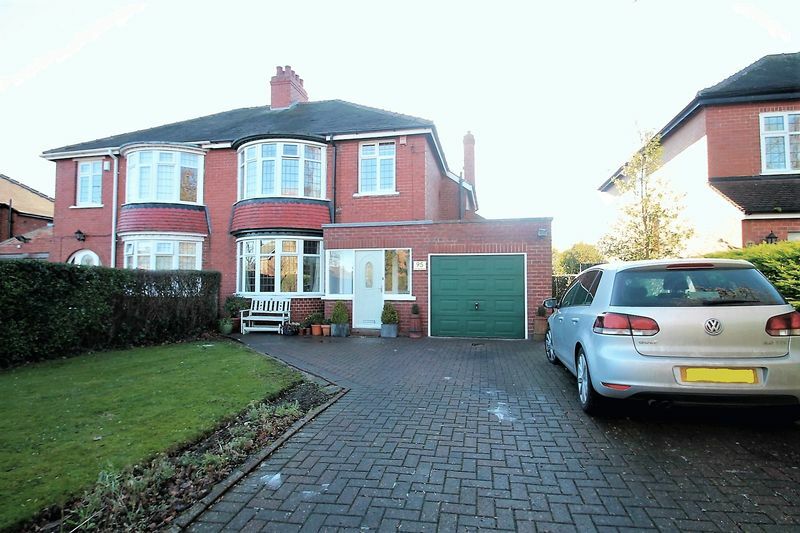 There are established gardens with a Block paved drive to the garage to front elevation and private rear garden. Timber entrance door with secondary original door having stained glass insert & side panels leading into hall. 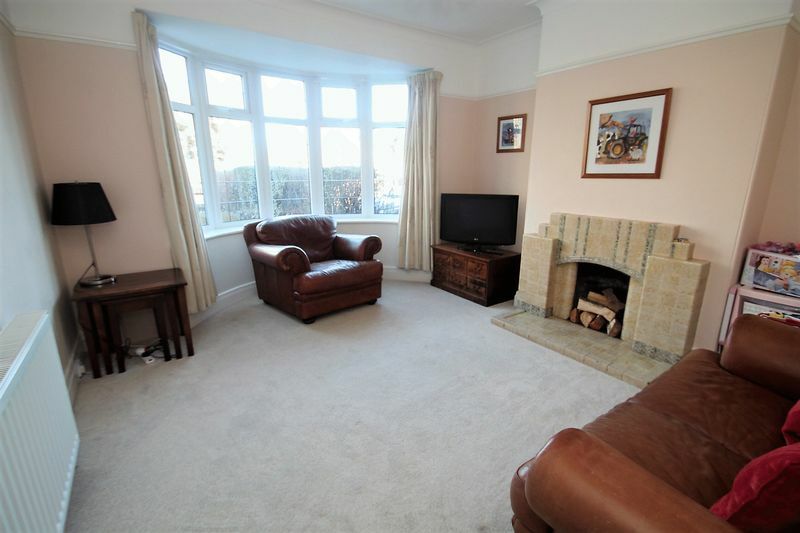 Radiator, picture rail, understairs storage cupboard, staircase to first floor. 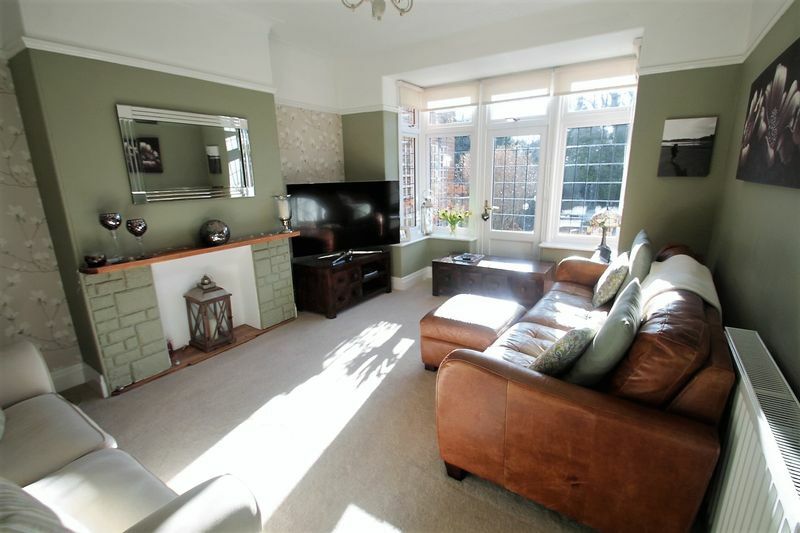 Feature original tiled fireplace, radiator, picture rail, coved ceiling, walk in bay window to front aspect. 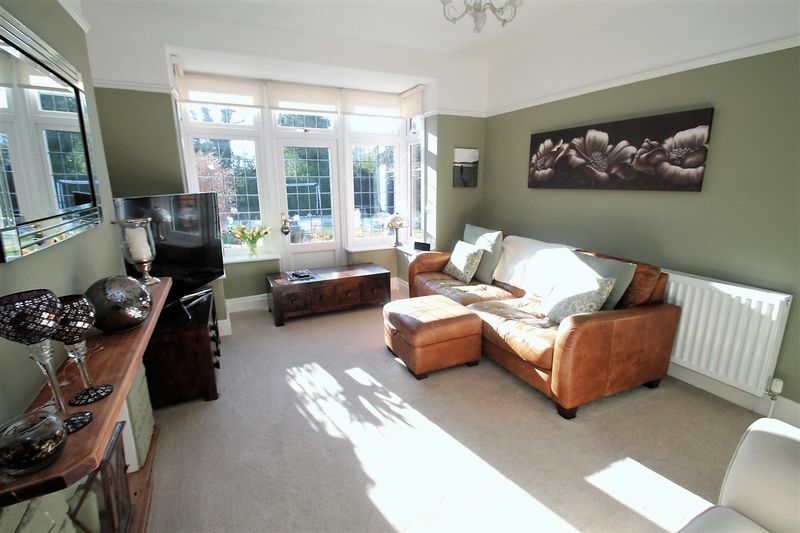 Radiator, picture rail, coved ceiling, walk in bay with door to south facing rear garden. Radiator, window to rear with inbuilt window seat. 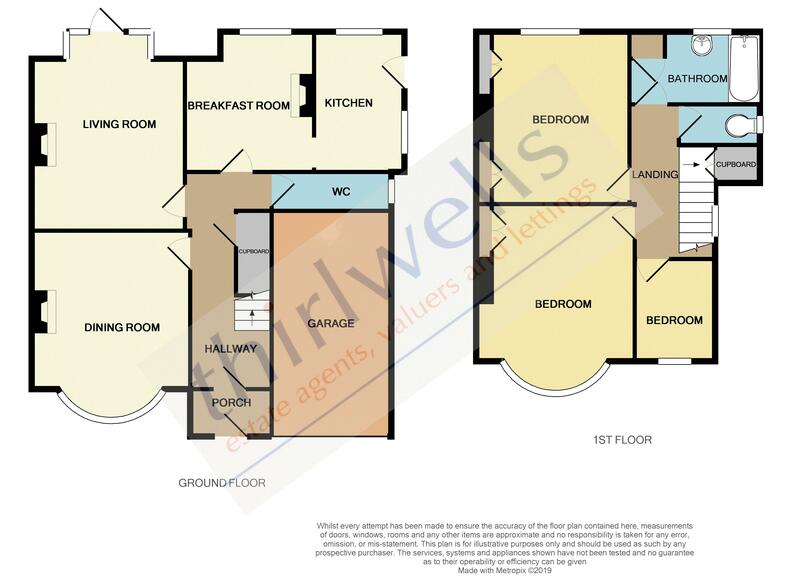 Two piece suite comprising; wall mounted wash hand basin, low level w/c, window to side aspect. Base units with double drainer sink unit, plumbing for auto washer, part tiled walls, window to rear aspect, window & door to side aspect. 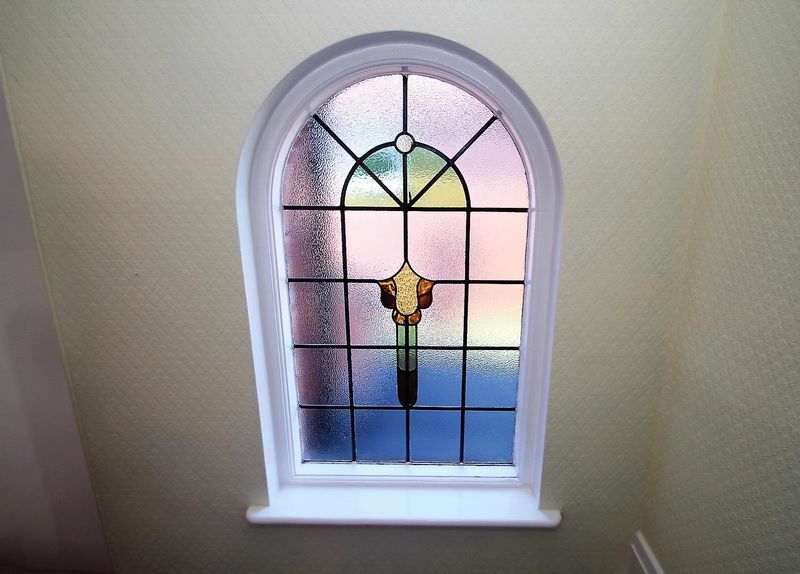 Feature arched stained glass window to side aspect, built in storage cupboard, picture rail, access to roof void. 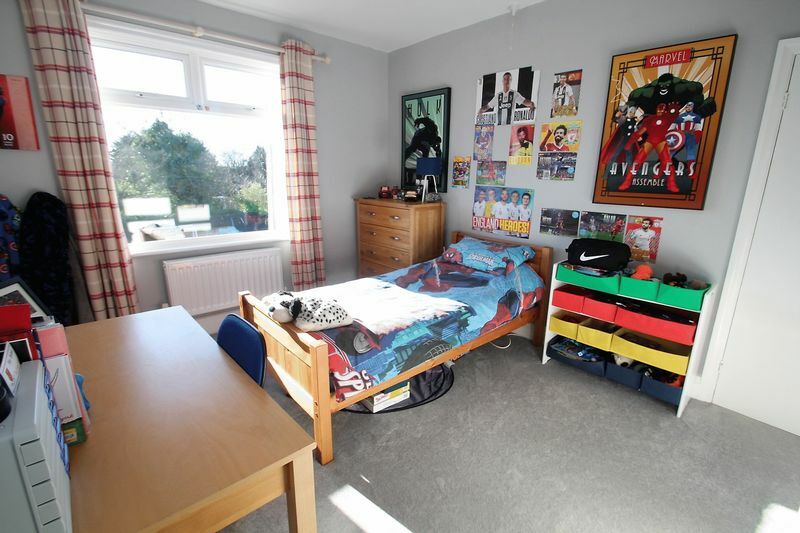 Built in wardrobes/cupboard, radiator, walk in bay window to front aspect. 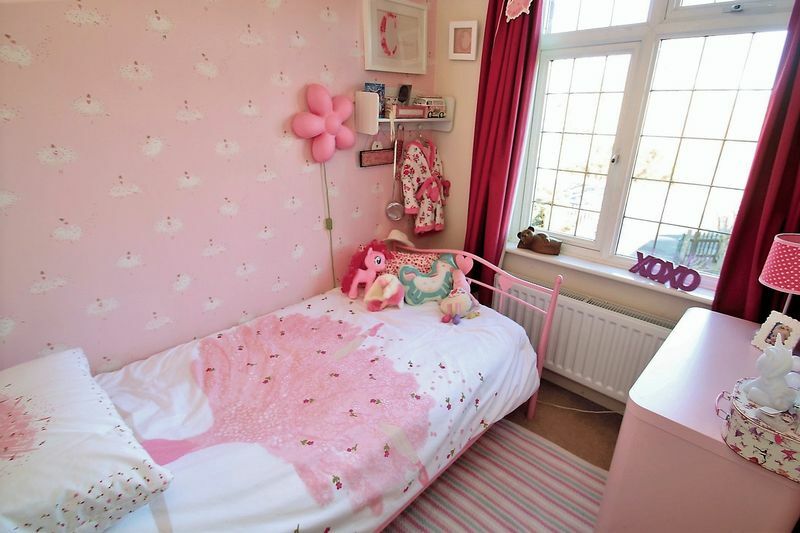 Two sets of built in wardrobes/cupboards, radiator, window to rear aspect. Radiator, window to front aspect. 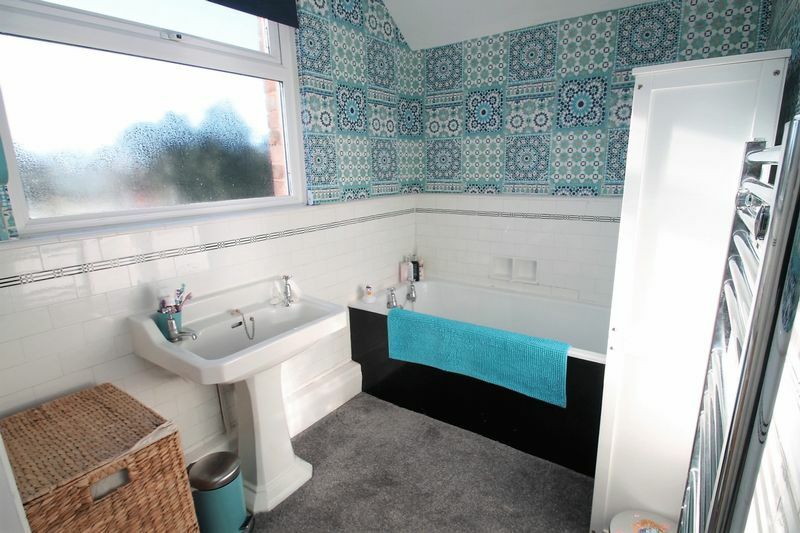 White two piece suite comprising; panelled bath, pedestal wash hand basin, tiled splashbacks, shaver point, chrome heated towel rail, built in storage cupboard, window to rear aspect. White close coupled w/c, window to side aspect. 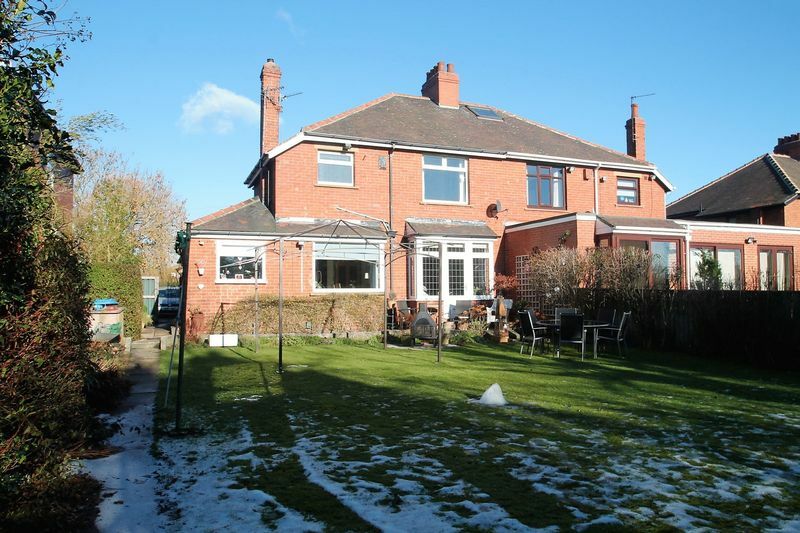 Mature front garden mainly laid to lawn & block paved driveway providing additional parking. 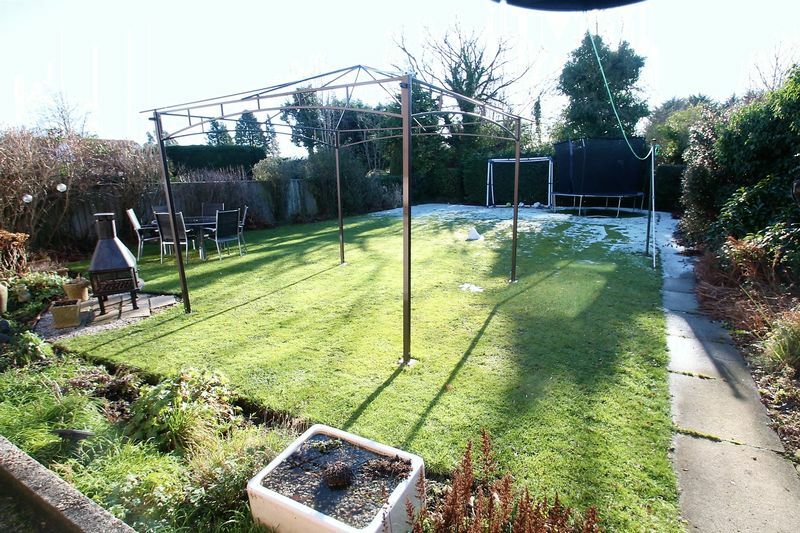 Private south facing rear garden mainly laid to lawn with mature shrub borders, patio area. Attached garage with up/over door, combi boiler, power & lighting.